Vanity License Plates Permitted/Denied in N.H. 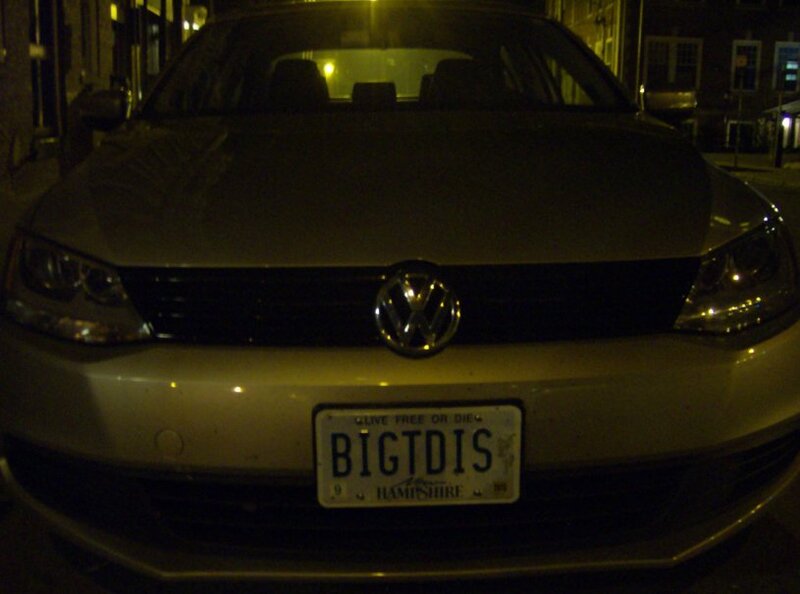 This page lists a number of vanity license plates, and indicates which ones have been forbidden by the New Hampshire DMV. You can also check for the availability of a vanity plate directly on the NH DMV's license plate check page. As you can see, the DMV's decisions to allow or disallow vanity license plates are very often arbitrary and capricious. You'll probably be quite surprised by many of them. Mature Content Warning: This web page contains references to some sexual, violent, and/or obscene subject matter and may not be suitable for all viewers. Parental discretion is advised. Availability according to NH DMV, as reported by the NH DMV license plate check page. Availability according to WMUR, as reported by this WMUR slideshow. The NH DMV manages separate sets of vanity license plates for motorcycles, trailers, etc. Unless otherwise noted, the vanity plates listed above are assumed to be normal passenger vehicle vanity plates. The categories into which these vanity plates are partitioned are for convenience only. In those cases in which a plate may be appropriate for more than one category, it is listed in only one. These categories are intentionally broad and vague. No legal signifigance should be inferred from the category in which a particular vantiy plate has been listed. In case you're wondering, no, I didn't sit there and take the time to type each and every one of these into the DMV's Web form. Scripts were used to automate the data collection.